I have recently returned to Cairns from Chongqing, China, where I have been living and working for the last eight years. This giant metropolis of 6.5 million residents straddles the Yangtze River upstream from the Three Gorges Dam. It lies in the heart of China 1600 kilometres west of Shanghai, and reminds us that there is more to China than Beijing, Shanghai, and Guangzhou. Chongqing is a classic example of Chinese government policy today: rapid urbanisation, massive infrastructure spending, and booming commercial activity. A rising middle class is one result of all this development. There are many Chongqings in China, and the scale of development in these new cities has to be seen to be believed. This is the largest socio-economic leap forward since the Industrial Revolution. Government policy is keeping pace with all this change. It is encouraging investment to transfer from export manufacturing to domestic consumption. The result? China’s wealthy middle class will soon be fuelling development. This group is also adopting western patterns of consumption – including a desire for travel abroad. There’s an opportunity here. All of this is happening on Australia’s doorstep, just seven or eight hours away by aircraft. Australia however, seems under-prepared for a future that includes China. Although this ancient society is now our number one trading partner, most Australians know very little about our giant neighbour to the north – let alone how to deal with it. Some Cairns locals hope that a wave of Chinese tourists will arrive here one day out of the blue, just like the Japanese did all those years ago. They think that once the Chinese find out about our clear blue skies, our wet tropics rainforests, and our colourful coral reefs, they will come here in droves. Cairns’ natural environment will sell itself (The Lucky Country syndrome). Wrong. Firstly, these days there are many beautiful places in our region and beyond, with cheap flights and favourable exchange rates. At the moment, Europe is the preferred destination for Chinese tourists (more countries to brag about after returning home). Secondly, Chinese society developed in isolation over a period of 4000-5000 years and is a civilisation rather than a culture. It is different. If Cairns tourism does not make the effort to understand this, our competitors surely will. Thirdly, advertising and hoping; maintaining a cargo-cult mentality (build it and they will come); and doing it the same as we have always done will not work anymore. Please take note: we must do it differently from now on. We will have to work harder for our tourist dollar (The Make Your Own Luck Syndrome). How do we do it differently? Firstly, we should learn more about Chinese culture, history, traditions, and business behaviour. We need to know where Chinese tourists are coming from in these terms. Secondly, send high status representatives of Australian tourism to China so that they can give local Chinese officials plenty of ‘face’. China is a relationship rather than a task oriented society, so putting Australian boots on the ground there with the aim of building personal relations with government officers is essential. Thirdly, don’t expect immediate results. Understand that decision-making in the Middle Kingdom can be a long and frustrating process. Accept that a signed contract may not be a done deal, but rather a symbol of long-term commitment. Negotiations may continue. Fourthly, listen to what old China hands have to say: too much attention is paid to ‘Top-down’ generalists from Canberra and Beijing, and not enough to ‘Bottom-up’ experts who mix it with the locals in mainstream China. A balanced perspective is best. Finally – learn some Mandarin. A little Chinese language will go a long way. In my opinion, many people involved in Cairns tourism may need to upgrade their professional skills. 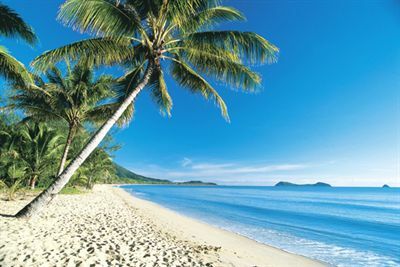 Doing so will hone that competitive edge, and help to put Cairns tourism back on the map. Further, hoping to double Chinese tourists by 2020 is not aiming high enough. If we work smart we can exceed that target.